↑ "Allspice : Substitutes, Ingredients, Equivalents". gourmetsleuth.com. Retrieved 27 April 2010. 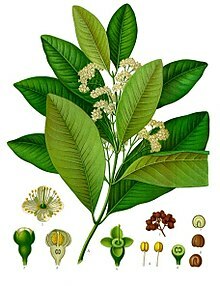 ↑ "allspice -- Britannica Online Encyclopedia". britannica.com. Retrieved 27 April 2010. ↑ 3.0 3.1 3.2 3.3 3.4 3.5 3.6 3.7 3.8 "allspice". theepicentre.com. Retrieved 27 April 2010. ↑ "Allspice Essential Oil (Pimento Berry/Leaf)". aromaweb.com. Retrieved 27 April 2010. This page was last changed on 6 July 2016, at 06:40.